(left) Measuring hydraulic conductivity with a Guelph permeameter in St. John, US Virgin Island. Data were used to develop infiltration capacity curves for forested soils and unpaved roads. Photo from the second season of fieldwork with Carlos E. Ramos-Scharrón at University of Texas at Austin. (right) One of many cylindrical rain gauges stationed across the state of Tlaxcala, Mexico used to estimate intrastate precipitation variability. Mexico's Sierra Nevada (Popocatépel & Iztaccihuatl) in background. 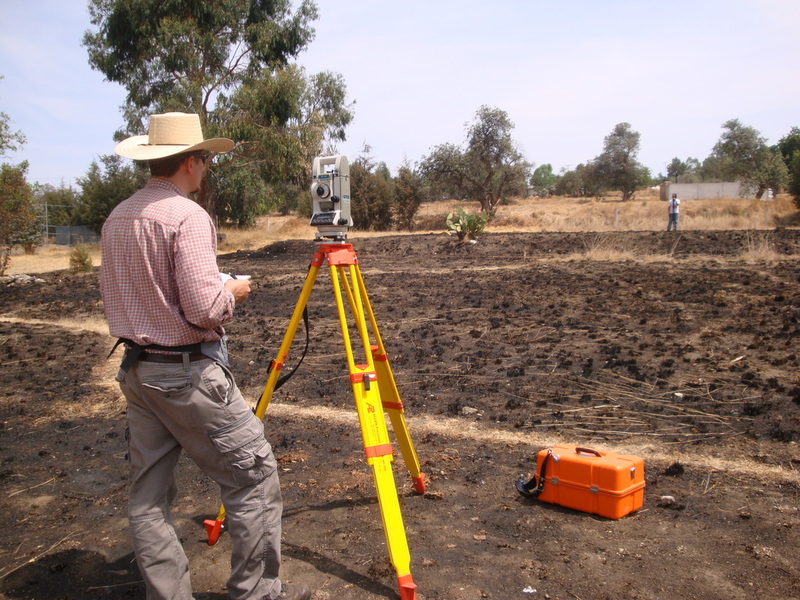 (below) Designing experimental terrace plot in Ahuashuatepec, Mexico. 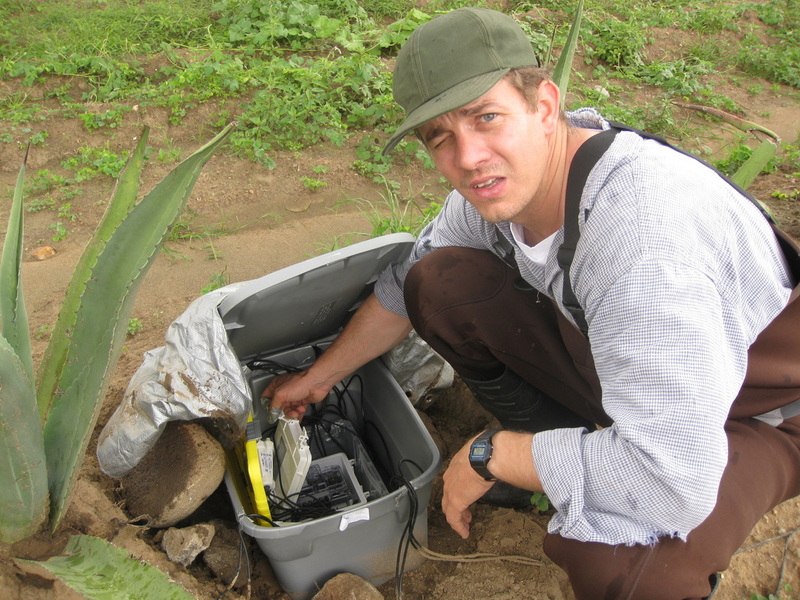 (right) Opening the data recorder for a network of soil moisture sensors positioned across two terrace plots. 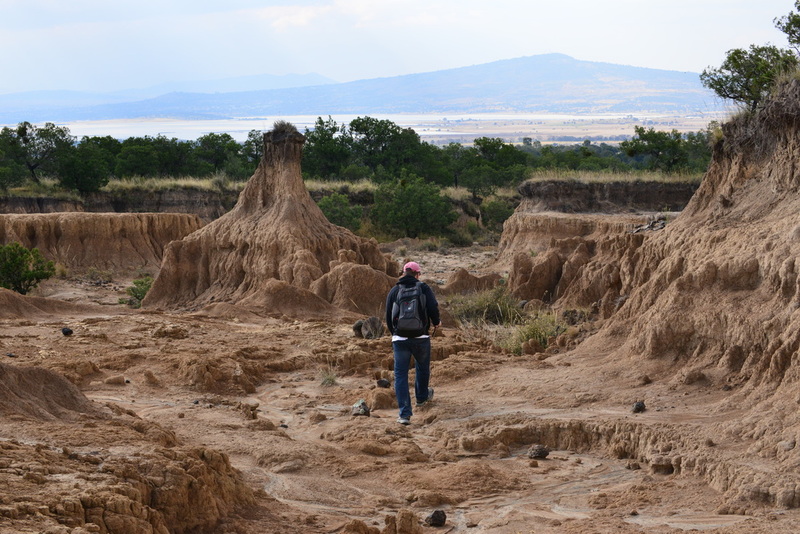 (above) Looking for an appropriate location to monitor soil erosion Xalostoc, Mexico. 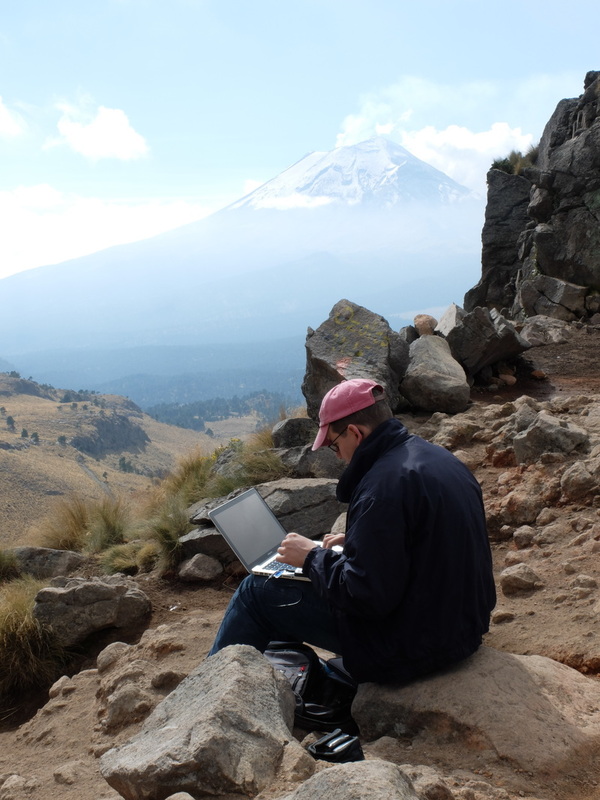 (below) Recording observations near the convergence of two weather systems in Puebla, Mexico at around 14,000 feet elevation. Looking southward from the ankles of Iztaccihuatl towards the active Popocatépel volcano. (right) About to enter the church archives in Trinidad, Cuba after a long day of field research. See above "Paleography blog" tab for more information on this ongoing project with David C. LaFevor of the University of Texas at Arlington. (above) About the enter the bishopric archives in Trinidad, Cuba (below) after a long day of fieldwork. 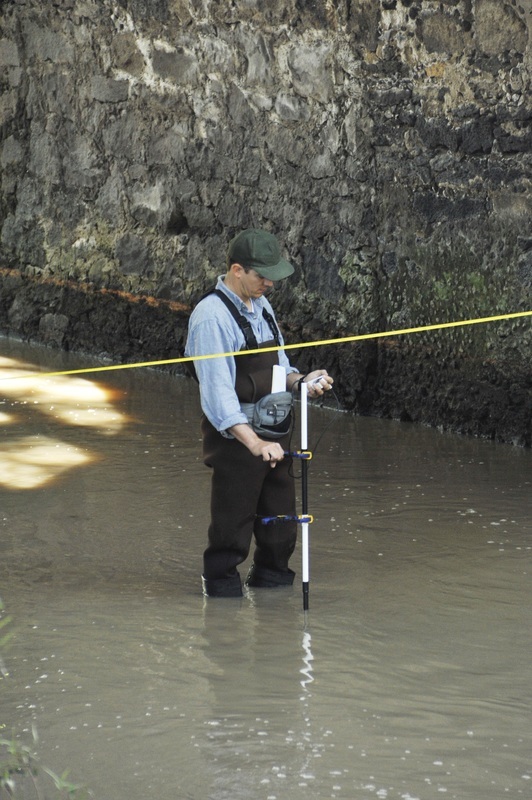 (above) Measuring discharge of the Zahuapan River near Apizaco, Mexico. Flow meter readings were calibrated with data from submerged pressure transducers and event rain gauges to better understand the river's response to precipitation events. (below) Taking samples of suspended sediment from the Zahuapan River. 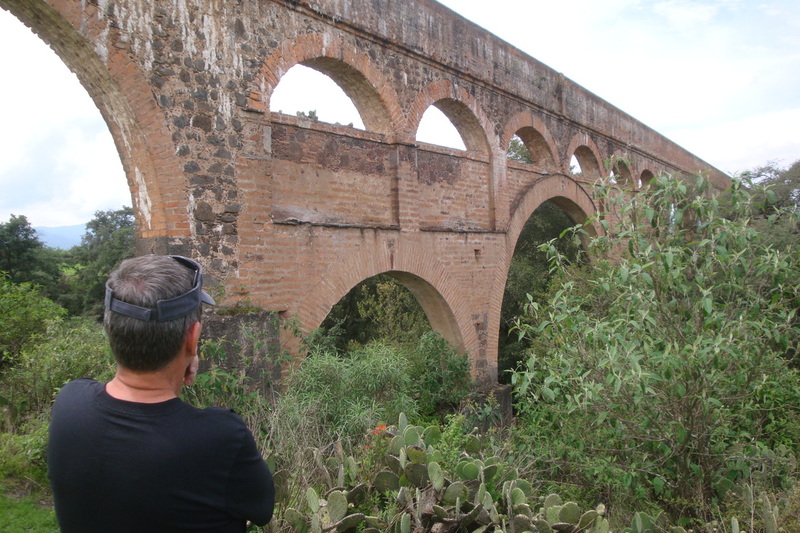 (above) Conducting field survey of colonial aqueduct with William E. Doolittle of the University of Texas at Austin near Matlala, Mexico. (below) Learning about different mango varieties from a farmer and rancher near Trinidad, Cuba. LaFevor's research into the environmental history of Mexico and the larger Atlantic World focuses on natural resource management during the Spanish colonial period, roughly from 1520 to 1820. He is particularly interested in the discovery and extraction of natural resources, and the human-environment relationships and transatlantic commodity chains that subsequently developed. In the archives, he digitizes documents using high-resolution photography. Once in PDF format he transcribes them and often uses software (atlas.ti) to code for different themes, eventually building grounded theories for what the documents reveal through both qualitative and quantitative data. Synthesizing these data can be challenging, but is a key part of better understanding the patterns and processes behind historical human-environment interactions, and building the case study meta-analyses, theories, maps, charts, and graphs that help elucidate them﻿. Below are descriptions of three ongoing archival projects. Other works can be found on the CV tab. This multi-year project is co-directed with David LaFevor of the University of Texas at Arlington. 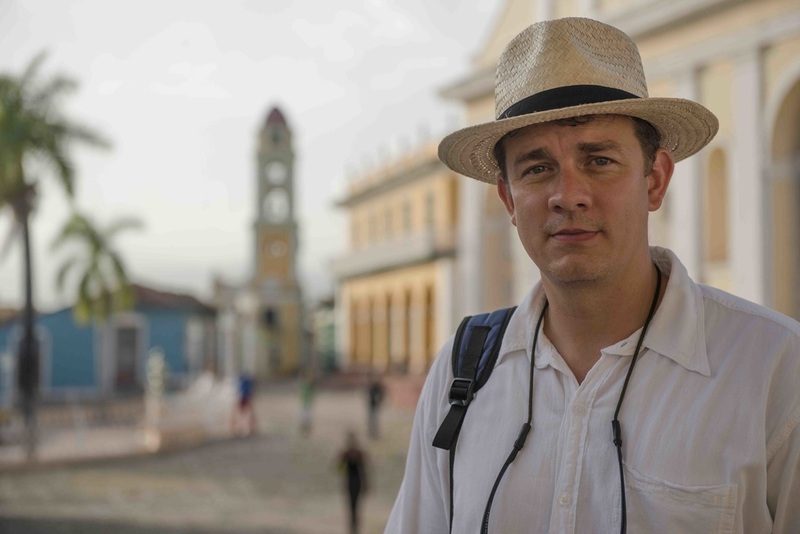 The goal is to identify and preserve endangered archives in Havana, Camagüey, Bayamo, Trinidad, Sancti Spíritus, Santiago de Cuba, and Baracoa, Cuba. The project is funded by the British Libraries Endangered Archives Programme and is an extension of the Vanderbilt University Ecclesiastical & Secular Sources for Slave Societies (ESSSS) project, directed by Jane Landers. This project is an ongoing collaboration with Elisabeth Butzer of UT Austin that examines the collection, transport, and consumption of snow in colonial Mexico. Our first paper examined 17th and 18th-century Veracruz where snow was considered the only effective remedy for several tropical diseases. This project examines the production of explosives in the New World -- from collection of the primary ingredients needed to produce them (volcanic sulphur, saltpeter, and charcoal) to the use of explosives in the military and the cartridge blast mining industries. Findings challenge current understandings of the roles of innovation, environment, and technology in the conquest and colonization of the New World.